Three of the four people arrested at a 2017 rally in Durham have had the charges dropped. Dwayne Dixon and two others had their charges dropped. A fourth made a deal and received deferred prosecution and community service. 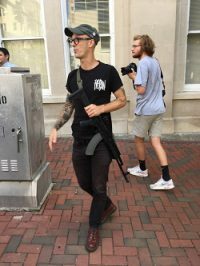 The 2017 demonstration formed in response to a rumor that the KKK was coming to Durham and many individuals came armed. The Durham Klan rumor was initially tweeted by the lawyer of the Communists who ripped down a Confederate statue in Durham and was retweeted within minutes by Durham Councilwoman, Jillian Johnson. Read more: The #DurhamHoax or How a Rumor Shut Down a Major NC City. Dwayne Dixon carrying a semi-automatic firearm in Durham. The lawyer who tweeted the rumor is Scott Holmes. He also represented Dwayne Dixon on the Durham demonstration weapons charge. Dwayne Dixon had been charged with a misdemeanor for bringing a weapon to the demonstration under a 1981 law that says a person cannot bring a firearm to a demonstration, parade, picket line or funeral procession. Dixon’s charges were dropped after the argument was made that the law he was charged under was unconstitutional. One has to smile a bit at the Left defending the 2nd Amendment. The third person mentioned above, Gregory Williams, has quite an arrest record over the last year. The Durham arrest was his third in 2017. 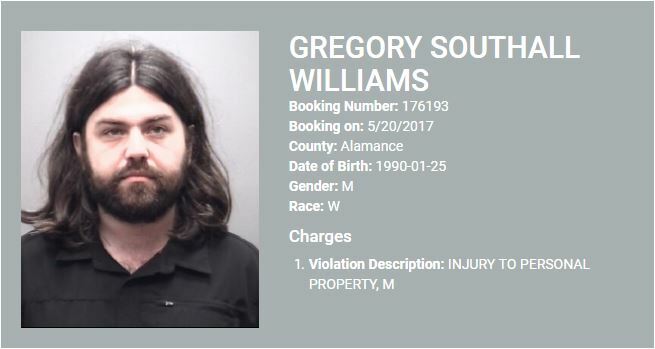 Willliams was arrested in May 2017 in Graham, North Carolina. A self-described “community activist”, Williams, was charged with misdemeanor resisting a law enforcement officer at the Graham protest. 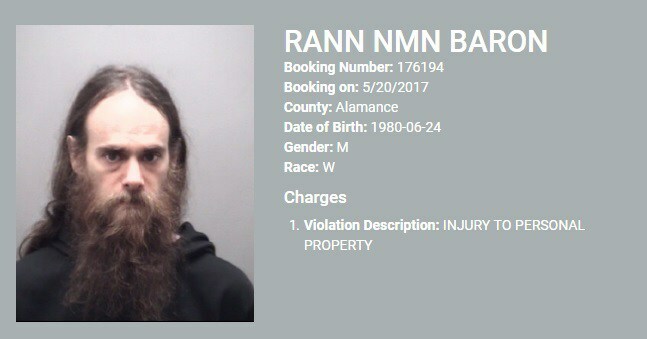 Arrested along with Williams at that protest was Duke lecturer, Rann Bar-On. The charges included injury to personal property stemmed from a failed attempt to destroy a flag of some type. The IWW engaged a group called Alamance County Taking Back Alamance County (ACTBAC) at the Graham protest on May 20th of this year. This entry was posted in #SJW, CRIME, LL1885, THE LEFT and tagged Durham Hoax, Dwayne Dixon, Gregory Williams. Bookmark the permalink.